Honda Civic has been a popular car series for more than 35 years and now the technology has improved the Civic with excellent features and better gas mileage. 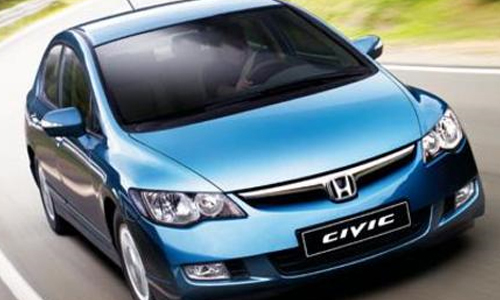 And now one of the improved technology is lives through the 2011 Honda Civic Hybrid. This model is powered by Honda’s Integrated Motor Assist system which consists of a super-efficient 1.3-liter, 8-valve i-VTEC 4-cylinder gasoline engine paired with a lightweight, high-output electric motor, which adds extra power when needed. 2011 Honda Civic Hybrid is assisted by a smooth continuously variable transmission (CVT) which combines the both easy automatic and efficiency manual transmission. The advantages of the refined gasoline-electric powertrain of the Civic Hybrid are visible as you see little numbers adding up at the pump. With an EPA-estimated city/highway rating of 40 city/43 hwy mpg, you can reduce your time stopping at the gas station.